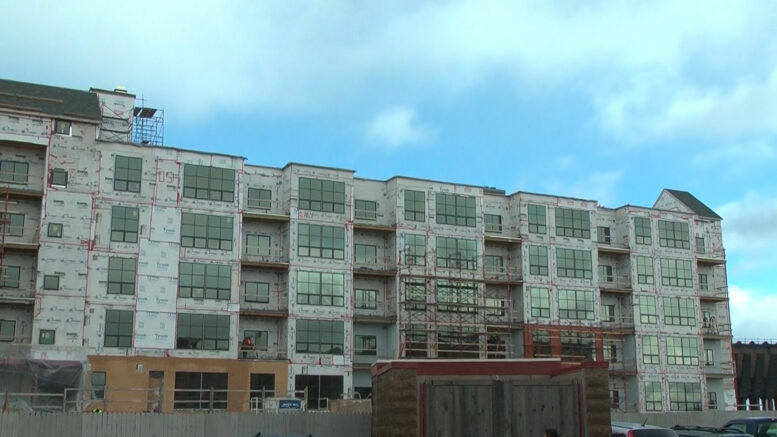 MARQUETTE — We’ve all seen the apartment building that is on its way to being finished in the Lower Harbor. The company behind the efforts have seen great progress over the last few months. One Marquette Place is moving along and they plan to have people moved-in by November. A model will be furnished and ready for people to see in the next week. The building includes 68 units, a restaurant on the first floor, an exercise room, roof top lounge, and more. They are currently preleasing and are at 40 percent filled with a long list of people who are waiting to see finished product. For more information about One Marquette Place visit their website here.